The Madibaz cricket team have won the South Western Districts premier league for the second time after defeating George Cricket Club by four wickets in the final earlier this month. In an earlier play-off, the Nelson Mandela University team, based in George, beat champions Union Stars by 12 runs. After posting only 104, Madibaz restricted Union Stars to 92, thanks to fine bowling by Joshua Klue (4/9) and Joshua de Ponte (3/15). 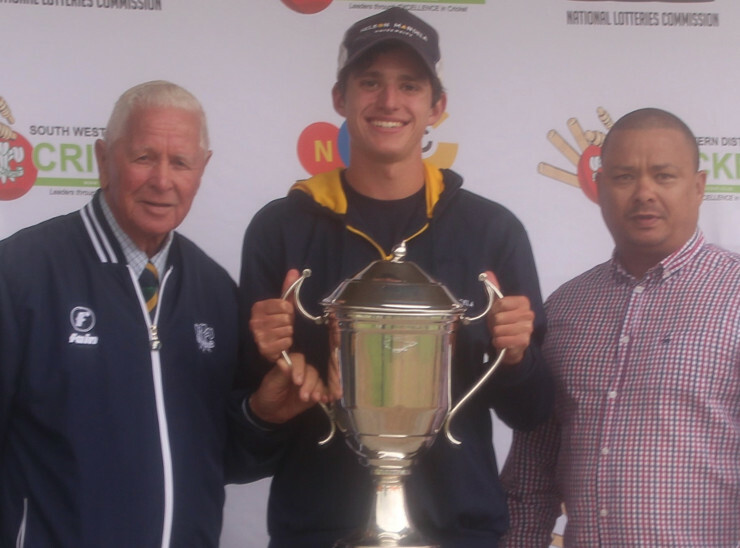 George campus sport manager Hugo Loubser said winning the league was something they had set their sights on from the start of the season. “We previously won in 2013-14 and we felt we were capable of matching any of the teams in the league,” he said. At last year’s University Sport South Africa Week, the Madibaz team showed their ability by winning the B section of the tournament. “The fear of failure does not exist among the players as they know that you will lose some matches.